I have been a fan of these Pixar and Disney collaboration films that they have been releasing since the original Toy Story. 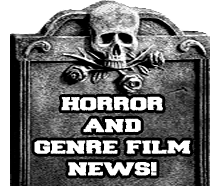 Almost all of the films have an underdog character(s) that need to overcome an obstacle. They all have a great and upbeat message in the end. Now when Cars came out I really enjoyed it and thought it could of stopped at one film, but due to the success it was inevitable that a sequel would be coming and when it did what we got was a decent sequel that focused more on the hit character Tow Mater. 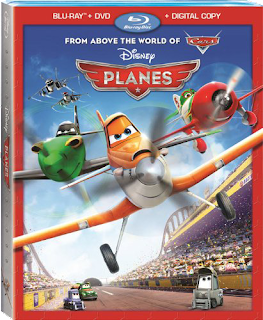 Now we have a new film that follows another group of characters in the world of Cars and that is of course Planes. Planes follows a crop duster named Dusty who fantasizes about becoming a racing plane. The only things that seem to be standing in his way is his fear of heights and body design that is not meant for speed. 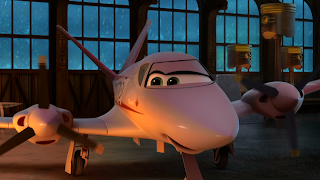 After help from his friends Dusty decides to qualify for the ultimate air race and he does qualify, but that is just the beginning of the challenges ahead of him. Will Dusty overcome his fear of heights and become what he always dreamed of becoming?! 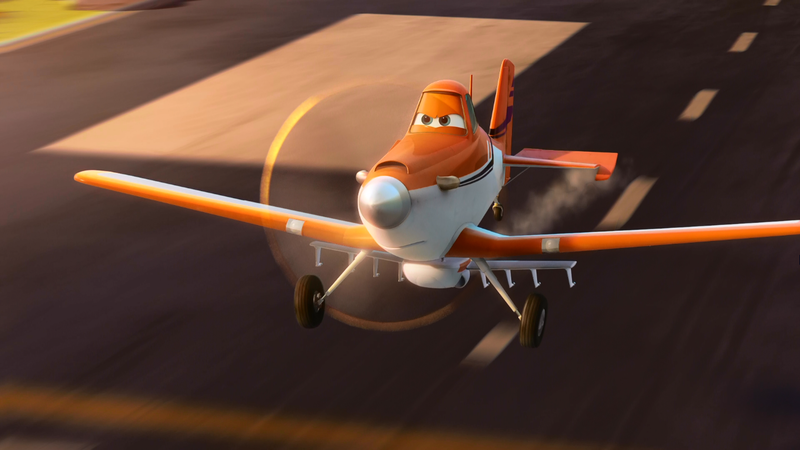 Get strapped in and ready to soar into the world of Planes! If you have watched the film Cars then you should be well aware of what is going to happen in this film. The plot is pretty basic and follows the classic underdog scenario. 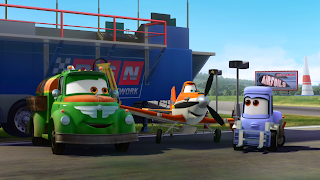 Dusty is very much like Lightening McQueen in the sense of being a character that is good at what they do, but they want to go to the next level and become something better. For most adults they will probably be bored with this type of scenario being done again, but I think kids will love the characters as well as the story even if they have seen it before. 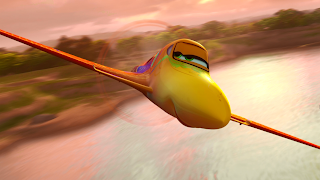 Now as much as I seen it as being something that has been done before and almost a copy of Cars I did still find the film enjoyable.I still wish they could of thought of something new for the plot or simply just put the time and effort into something fresh and new that was out of the Cars world. By now you probably already know that the characters are quite predictable and will remind you alot of those from Cars. Dusty is the typical underdog with big dreams, Skipper is the old veteran who helps out Dusty, Ripslinger is the typical antagonist, and Ishani is the typical love interest. Even with them being pretty typical characters I really enjoyed the voices behind the characters. Dusty is done by Dane Cook, Brad Garrett does the voice of Chug which is alot like Mater, John Cleese voices Bulldog, and the great Stacy Keach does the voice of Skipper to name just a few. Needless to say but as you can see there is some pretty good talent behind the characters. The picture quality is exactly what I thought it would be and that is perfect. The colors are amazing and vibrant and the animation is simply stunning. With a newer film like this I wouldn't expect anything less than what I got. Lets just say this form of animation has came such a long ways since the world was introduced to the film Toys. Along with the awesome presentation you get a good amount of special features that are equally as great. 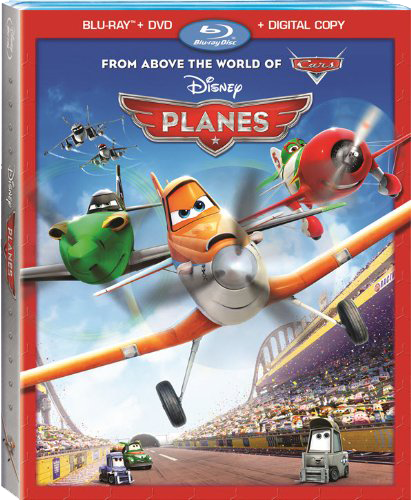 Overall if you are a fan of the Cars films I think you may enjoy it on one level or another and if you have kids who love the Cars films they will without a doubt love Planes! I give this film a 3 out of 5 scalpels!